The following is a list of apps that can help learners identify feelings. 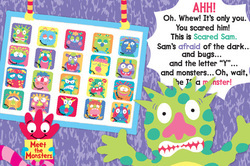 Moody Monster Manor features twenty cartoon monsters that represent emotions that children commonly experience. Some of the Moody Monsters that children will meet in the manor include Ecstatic Ed, Worried Wanda, Sad Sal, and Sorry Simon. Children can also create their own Moody Monsters to represent how they’re feeling. The Emotions from I Can Do app focuses on helping individuals identify different facial expressions using real faces and test their understanding of emotions. 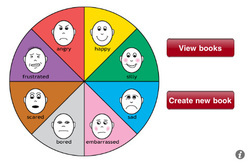 The Feelings App is based upon the Feelings Book (Rubin & Laurent, 2000). 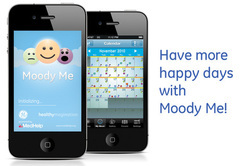 It is designed to provide an easy to use format for fostering the "Three "E's"
Track your mood with the Moody Me mood tracker app to find out what makes you feel good. Log your mood and note what affects it.. Take pictures of what makes you happy and play them back for an instant lift. Or see what makes you sad so you can better manage your mood. Emotionary is a dictionary of emotions and funny feelings. No fuss, no random unrelated meanings. Just a quick and easy way to expand your emotional vocabulary and express yourself better in social media. With over 70 expressive full-sized emoticons, and hundreds of feelings to choose from, now’s the time to get the emotionary app and start sharing.